Spellbinderie creates unique keepsakes made from antique books! 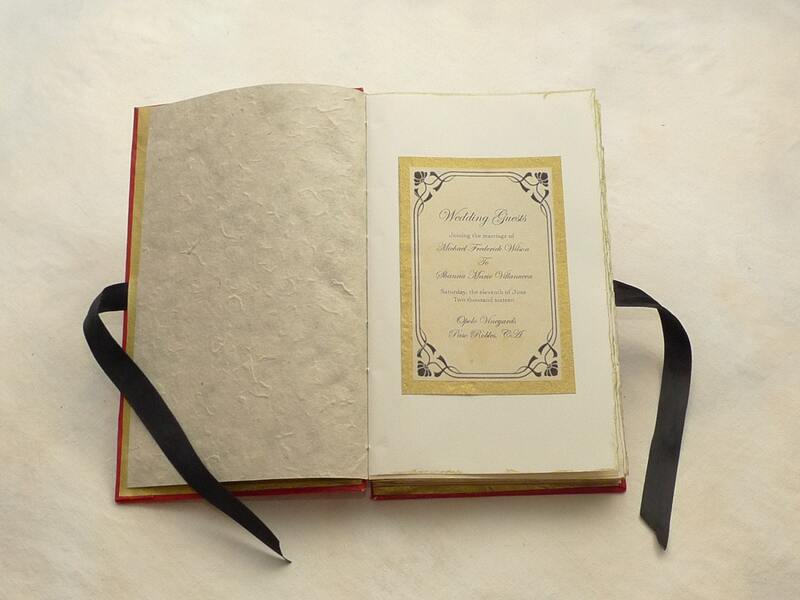 After carefully removing the original pages, the cover is rebound with quality paper to create a custom made scrapbook that can be used for a wedding, anniversary, honeymoon or other special event. Perfect for once in a lifetime, bound to be remembered! Your order will be made from a book with the same cover design shown in the sample photos. 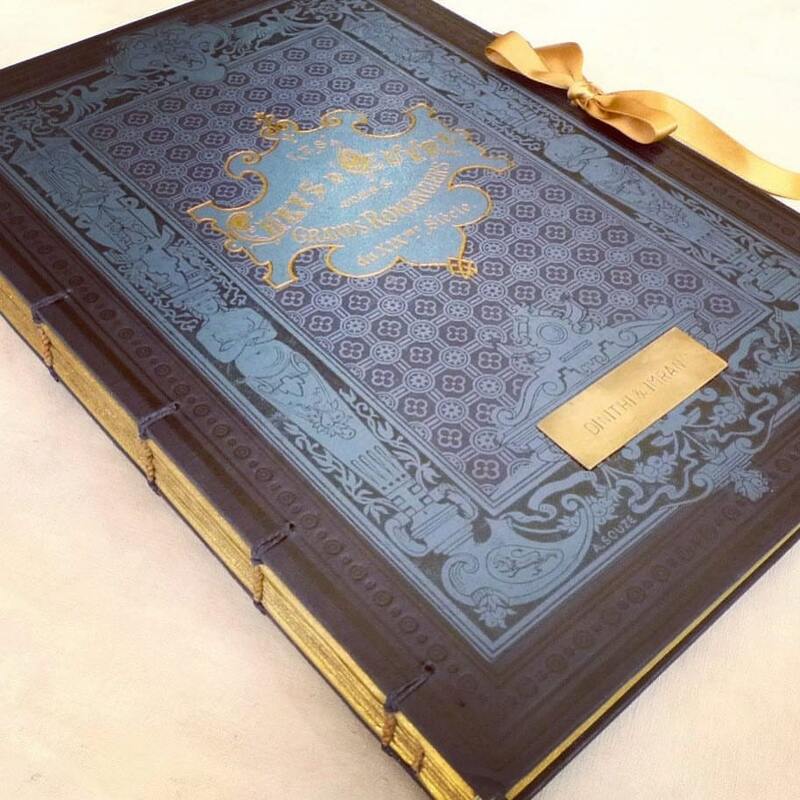 Book size is 8.5 x 12.25 inches (21.5 x 31 cm). Or contact me to request a different large antique book cover. Made upon demand with your choice of options. Choose from one of the popular packages below or contact me with your request. 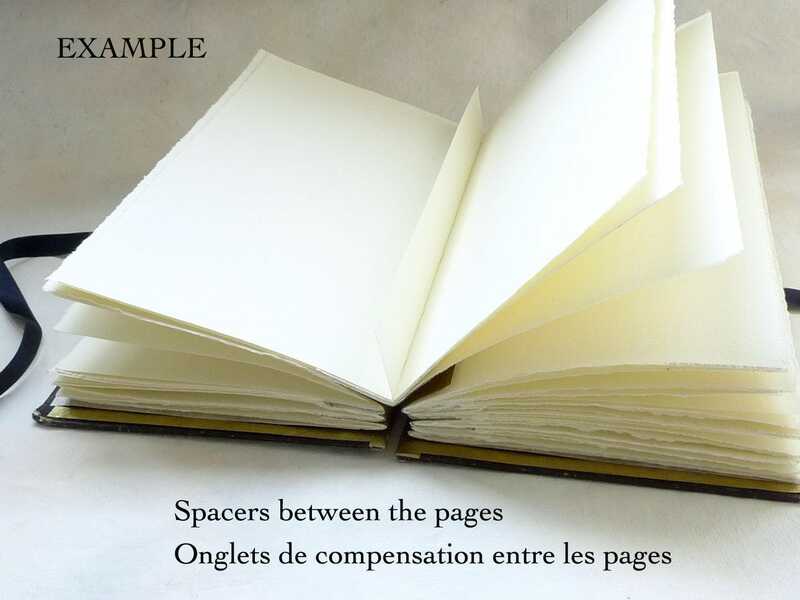 SCRAPBOOKS are made with spacers that expand the spine allowing photos or mementos to be added to the pages later without deforming the binding. Please see the sample photo for an example. 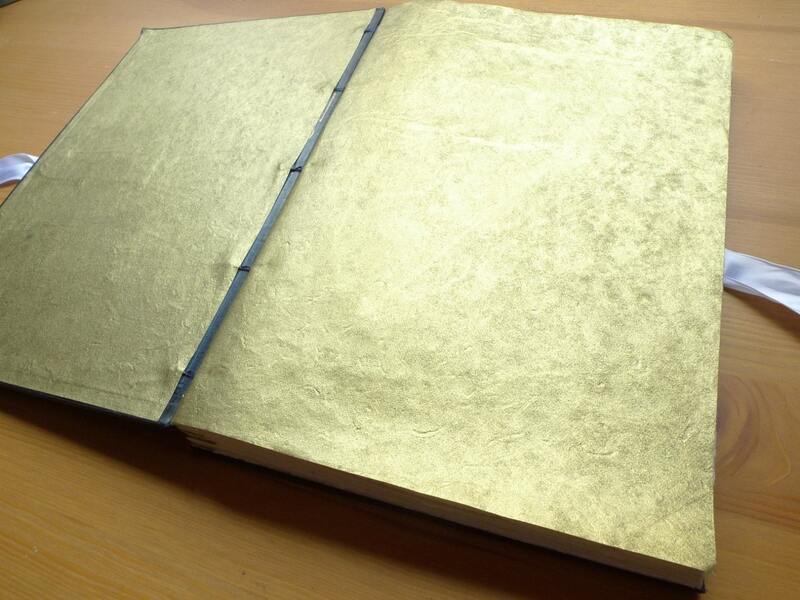 Karen Rudd is a professionally trained bookbinder. Custom requests are welcome! 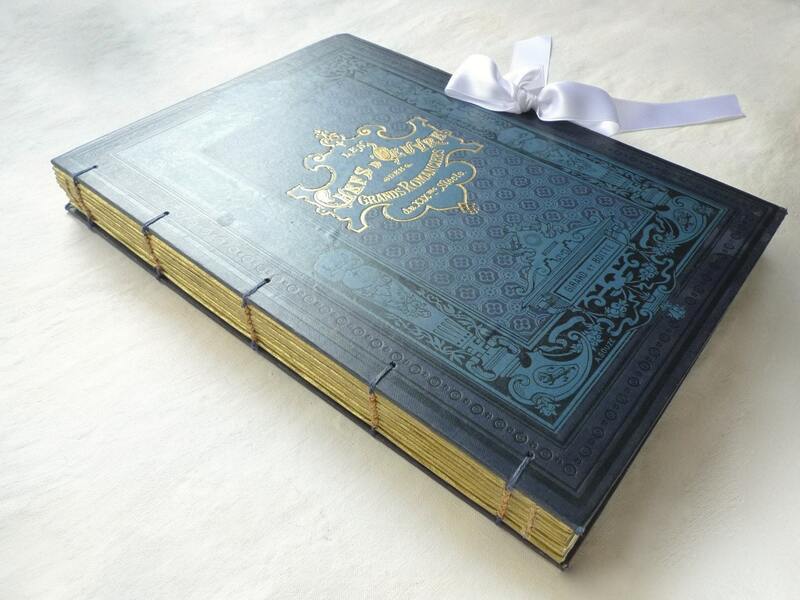 Beautiful book... makes for a extra special gift! Thank you!